UK based company Fight Forever Wrestling has announced a PPV deal with FITE TV. The company revealed on Twitter earlier today that two PPV events would be streamed live on the platform. The two shows being Dance of The Dragon and Fight Syndrome. These two shows will be recorded on March 29th and shown on FITE on April 8th and 15th respectively. Dance of The Dragon will be a free event on the platform. Fight Syndrome will be an official PPV stream. 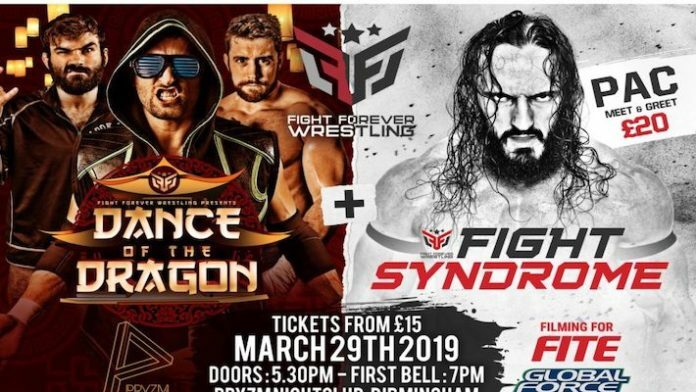 The first of the two events, Dance of the Dragon will debut for FREE on FITE TV on Monday 8th April. The second event, Fight Syndrome airing one week later on Monday 15th April.